Many people associate hip pain with degenerative diseases that develop over time, but the hip is a common site of sports injuries at all ages. The sports medicine and orthopedic specialists at Bluetail Medical Group have extensive experience treating hip pain in patients of all ages. To learn how innovative regenerative treatments relieve hip pain and heal damaged tissues, book an appointment online, call the office in Naples, Florida, or contact one of the locations in Chesterfield or Columbia, Missouri. Sports-related hip injuries often occur due to improper conditioning and increasing your training regimen too quickly. The team at Bluetail Medical can assess your training and help you develop a training program to prevent injuring your hip. Does All Hip Pain Feel the Same? You’ll experience hip pain differently, depending on its underlying cause. For example, you’ll immediately feel the pain when you strain a muscle, whether it’s mild or severe, and the pain is associated with muscle movement. By comparison, pain that originates in your hip joint, like arthritis, is often felt in your thighs, buttocks, or another part of your body. Pain caused by arthritis develops gradually rather than suddenly. 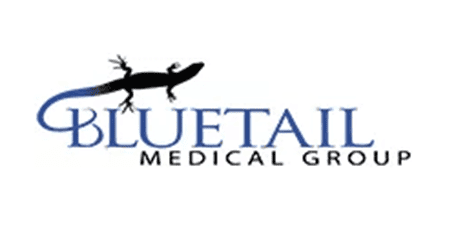 Your Bluetail Medical Group physician first determines the specific cause of your pain and the severity of the problem; then they develop a customized treatment plan to relieve your pain and heal the underlying condition. Platelet-Rich Plasma (PRP) Therapy: Platelets, a natural component of your blood, contain growth factors. In PRP therapy, your doctor draws your blood, separates the platelets, and injects them directly into the damaged area of your hip. Once injected, the growth factors accelerate healing, reduce inflammation, and trigger the growth of new tissues to heal the damaged tissues. Stem Cell Therapy: Throughout your life, stem cells continuously replicate and can produce all the different cells found in your body, healing or replacing tissues that are injured or diseased. At Bluetail Medical Group, your adult stem cells can be extracted from the bone marrow in your hip, concentrated, then injected into the source of your hip pain. Then they go to work, replicating and regenerating new cells to heal your injury. Prolotherapy: Prolotherapy achieves the same results using a different method: your doctor injects a solution that contains safe ingredients such as dextrose and saline. When injected, they trigger a healing response, causing growth factors to migrate to the area and repair tissues. You don’t need to settle for ongoing hip pain just because traditional treatments haven’t produced results. To get relief with regenerative therapies, call Bluetail Medical Group or book an appointment online.